Patty Hearst | Nobody Move! 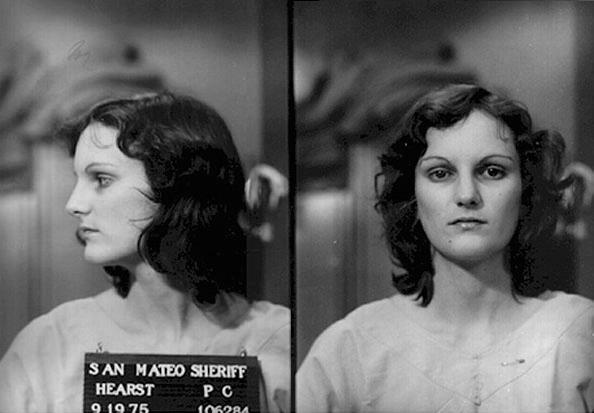 On this date in 1974, 19 year old heiress Patty Hearst was kidnapped from her Berkley, CA apartment by members of the Symbionese Liberation Army. The following April, she was photographed holding a weapon during a San Francisco bank robbery. She was eventually arrested in September of 1975. She would later claim she was brainwashed by the SLA. The jury at her trial didn’t buy it, and she was convicted and sentenced to 35 years in prison. Her sentence was eventually commuted to 7 years, and she was granted a pardon in 2001. Crime Library: Hearst, Soliah and the S.L.A. HEARST, SOLIAH AND THE S.L.A.